Walk Behind Saw Rental – Core Cut – CC1000, is available for rent in Rochester NY, Ithaca NY and the entire Western New York region from the Duke Company. 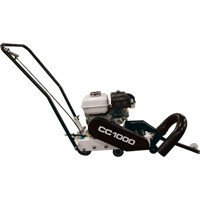 The rental Core Cut CC100 joint cutting saw can be rented, features a center cut design for accurate cutting. Available in gas or electric. Rrbor size = 1 inch or 5/8 inch option.